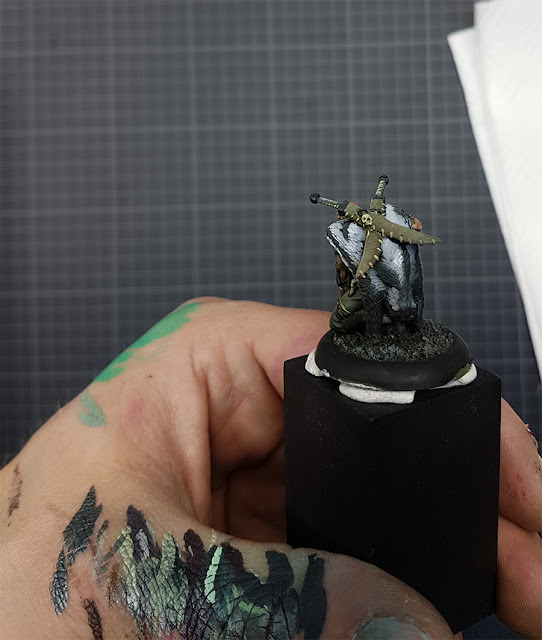 do you remember the efforts the monkeys are putting in their Guild Ball Teams to play Guild Ball one day with painted models. Well, hard to remember as progress is mega slow, but nonetheless it is progress. Roman also did write a review on his full Guild Ball Team - you can find it here. 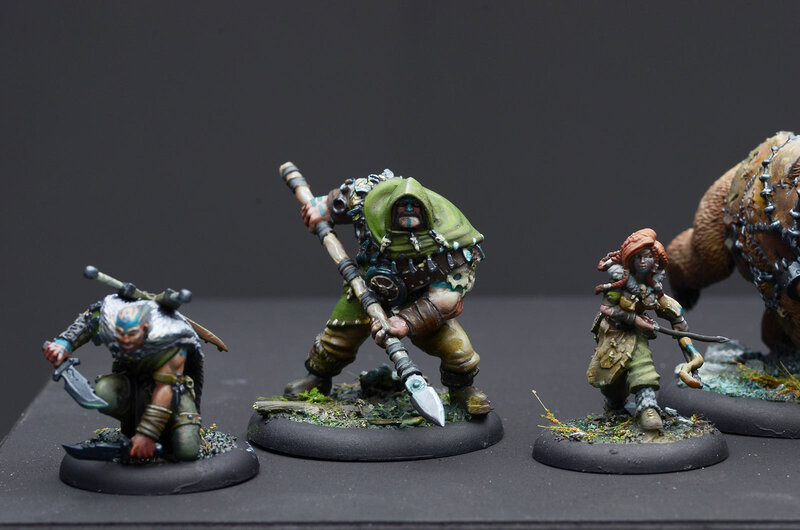 Roman's painted Team Members thus far. 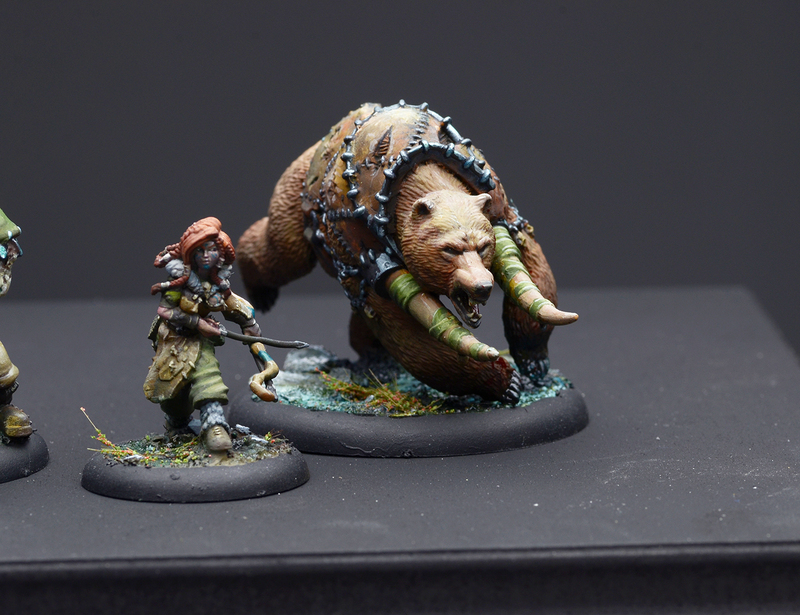 Still the bear is Roman's favourite sculpt of the four. Some in between work in progress photos are available. It is always interesting to observe Roman's thumb when he paints. Questions about color choices? You can find the answer on the thumb. One day there the MV HQ will play Guild Ball with painted models. Love these models and the paint job. Thank you for sharing! 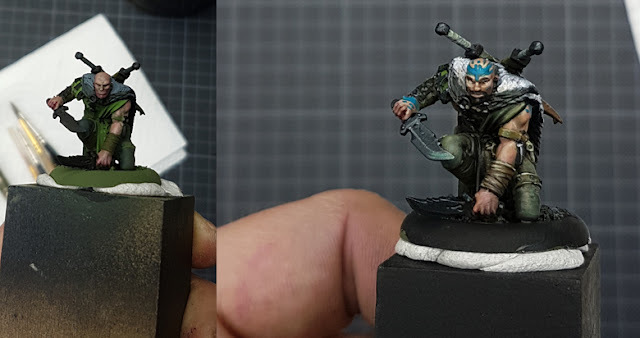 Great stuff :) I am working on my hunters as well - though I am doing a lot of resculpt on mine. Pretty excited. Thankyou for sharing !